is the place to go for FAMILY FUN! You'll find a beautiful array of Seasonal items: Spring: plant starts, hanging baskets, patio vegetable plants, annuals and perennials, and more! Summer: Fresh produce from our own gardens and greenhouse plus other local farmers bounty! 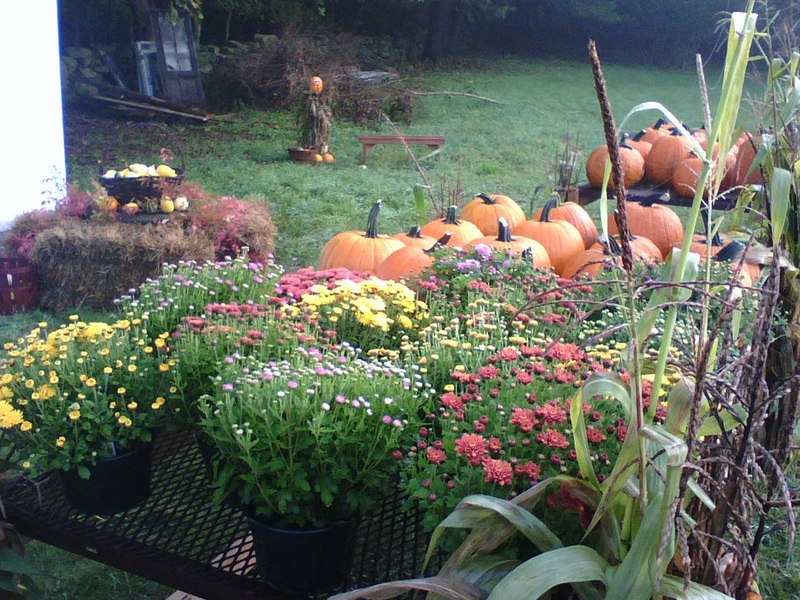 Fall: pumpkins, Indian corn, gourds, mums, apples & cider, maple syrup and more! On weekends the kids can take a pony ride or hop a hay ride pulled by an antique Farmall Tractor! A crew of delightful critters fills the Festival Farmyard which is ALWAYS open during daylight hours for you to bring the kids by. Pet and feed the sheep and goats and visit the alpacas, mini donkeys, pony, pheasants, mini rex bunny, and an emu, who are all eagerly awaiting your visit. Festival Farm is located at the corner of Rt. 3 and Canonchet Rd. in beautiful Hope Valley, RI.